Welcome to Hakain's Crossing World Cup Theme event in Victory Plaza. Visit Hakain's Crossing, we have brought you the World Cup Theme into the Victory Plaza. Support your respective bias Countries around the world! This is also a Perfect day to have the Rabbini Event. Let's see the details below. Choose any one of the Rabbini represents the country that you wanted to support. The quest is just a short-term quest. Once accepted, you will earn a reward called "Country Trophy" Booster. This booster will be exclusive only until the end of the event. Dragons! Dragons everywhere. Let's spice things up from the Familiar Academy. Shall we start taming? Can be found in Hakain's Crossing, Familiar Academy. It can be tamed using the Mark from the NPC Merchant Rabbini Sporty. Only Legendary familiars can use this skill. Provides resistance against all climate effects. Level1: Overall Defense increased by 33%, Health increased by 34.00%, Stat Limit Break increased by 9, Movement Speed increased by 10%. Level 60: Overall Defense increased by 46%, Health increased by 47.00%, Stat Limit Break increased by 9, Movement Speed increased by 10%. Transports you to Hakain's Crossing. Will set your familiars out to adventure and came back with rewards. We have changed the rewards for the Sea of Hakana's Region for Familiar Adventure, "The Bulwark". Regardless of Adventure level difficulty, you will have 20% chance of earning Victorious Energy. Having fun by gathering materials? We will make it more exciting! We will give you an extra reward by just gathering materials. I fished out something! Come here and let's find out more. Reward: 15% chance to receive a Victorious Energy (10 Pack). Gather your army once again, Riders! The Brown Bear Rabbini has invaded the Hakain's Crossing. Slaughter them with your own hands and get a reward that you deserved. Travel through the Hakain's Crossing and speak with the NPC Rabbini Sporty found in Victory Plaza. Accepting the quest Defeat Brown Bear Rabbini will provide you information to kill the Brown Bear Rabbini that will show in the North, South, and East of Hakain's Crossing that will spawn in every 20:00 - 21:00, UTC. 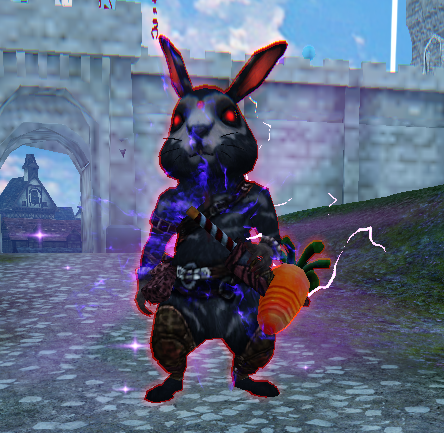 Complete the quest by killing the Brown Bear Rabbini and you will get the reward "Victorious Energy". Kill Brown Bear Rabbini in every entrance of North, South, and East of Hakain's Crossing. Monster will spawn every day 20:00, UTC and will despawn 21:00, UTC if not defeated. The monster will be defeated after players have used the Rabbini Carrot Dynamite on it after enough times. No ordinary attacks or skills can deal damage the Brown Bear Rabbini. Upon accepting the quest from the NPC Rabbini Sporty you will be able to receive a certain item that will help you decrease the Brown Bear Rabbini's HP. Be near within the range of the Brown Bear Rabbini to be able to complete the quest. You will be able to receive Victorious Energy (10 Pack) after defeating the monster. Merchant NPC that will provide items when you exchange a certain amount of Victorious Energy. Having problems trying all the characters in-game? Worry not, we have increased one character slot for everyone! Maxed Character Slot increased from 6 to 7. Buy character slot voucher in order to unlock the 7th Character slot. (Default of 4 character slots and 3 purchasable slots). New Achievement added. Check your achievement window in the familiars tab in game. A mark that will 100% guarantee your ability to tame the Gilded Infernal Demoroth.